Ghost Towns, a set on Flickr. A ghost town always seems to make an interesting photographic subject! 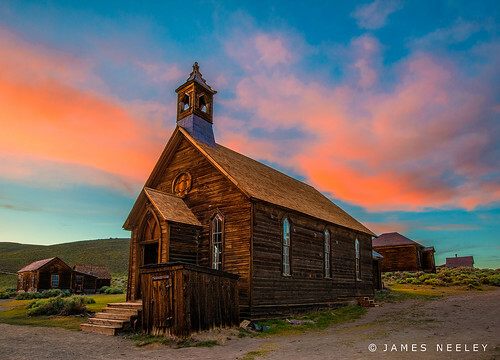 The Old Bodie Church at Sundown, a photo by James Neeley on Flickr. One of the advantages of staying in Bodie late for night photography is that you also get to stay for sunset which is usually past closing time.